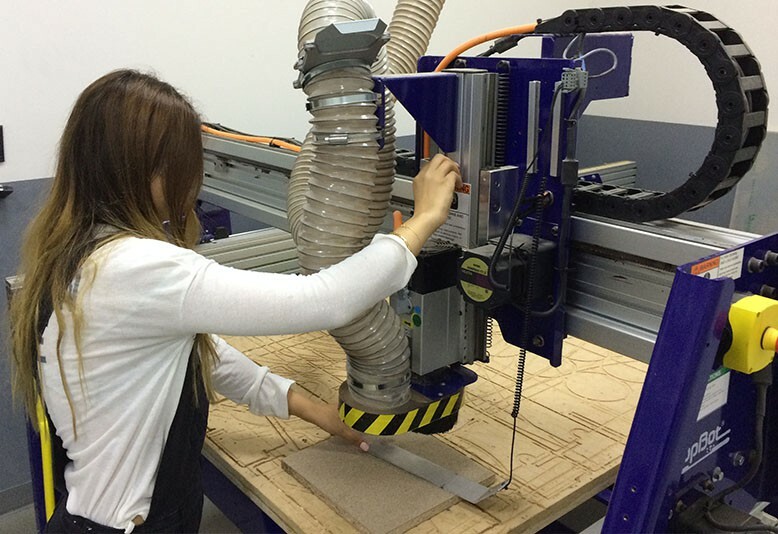 In this Safety and Basic Use (SBU) class, learn to use the computer-controlled (CNC) ShopBot router to cut objects, parts or art designed in 2D or 3D CAD. This powerful tool is perfect for rapid prototyping and digital fabrication. Create parts with complex curves and surfaces from most woods, plastics, foams, and other composites (no metal on this machine). This class teaches you how to safely use of the machine. Project: Guided practice with the instructor. Successful completion of CNC102 ShopBot SBU - Part 1: CNC Toolpaths prior to taking this class. We also recommend to take WOD101 Basic Woodshop SBU.